Download Social Photo Sharing App Free PSD. A beautiful Free Mobile Application Templates for Photo gallery app. It is a super cool social media app ui kit psd that is ideal for mobile apps. The color scheme is fully customizable and you get 3 screen combined that can be use to design complete mobile application experience. This Social Photo Sharing App Free PSD can be use as photographer user profile to showcase photography portfolio. 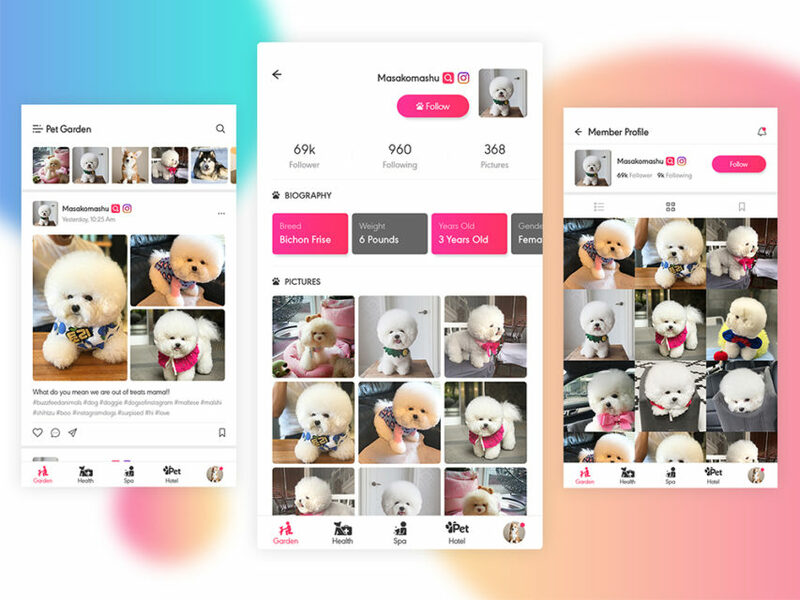 If you are working on photo sharing application ui or you are photographer, traveller, then you’re gonna love this app design. Hope you like it. Enjoy!